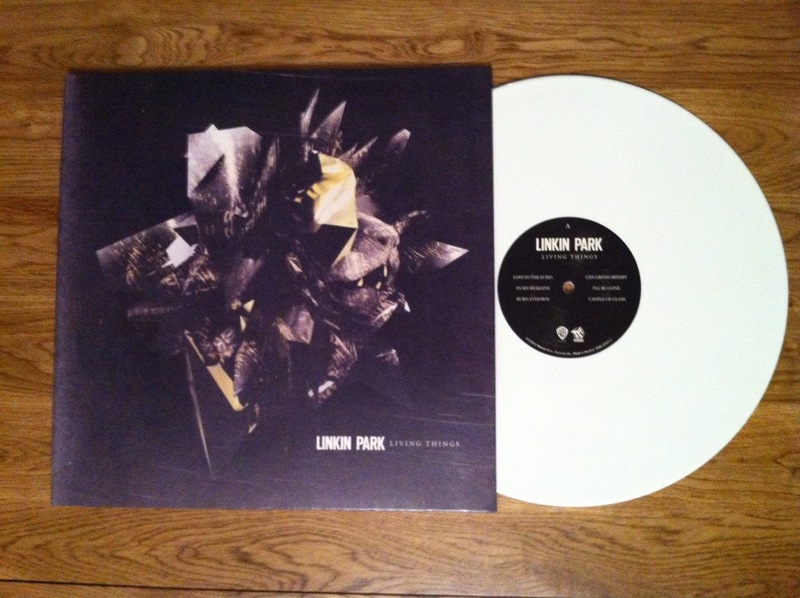 Linkin Park – Living Things On White Vinyl! Having listened to Living Things by Linkin Park almost everyday since it was released this Summer 2012, I was so pleased that it was to be finally released on vinyl. Not only is the new cover a welcomed treat, but also, it is very limited to just 3,000 copies worldwide on Pure White Vinyl. Having now been released on Vinyl has just made a great album sound even greater! Here is my copy that I received today. To the best of my knowledge, it has only been released on White Vinyl with no current plans in releasing it on any other vinyl. It’s a double gatefold cover with new artwork and includes the lyrics sheet.